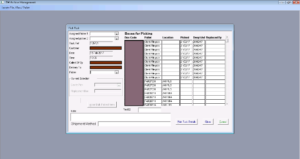 Our warehouse management system gives us the ability to modify or adapt the system dependent upon the customers needs. If you have a requirement specific to your archive that requires logging that is not part of the current warehouse management system, we can quickly implement changes to give us the ability to handle the product. Utilising the vast amount of data we hold we can see the full history of a given file or box and establish every transaction that has taken place throughout its life whether it’s 1 year old or 15 years old. Every transaction is logged to the second and covers all employee interaction and customer interaction. This gives us the ability to backtrack should any file or box get mis-located which given the fact that there is always human involvement was a key factor during the development of the system. The See-It online interface gives our customers the ability to monitor all activities relating to their archive store. The interface is located on our own internal webserver and linked directly to our WMS internal offering additional comfort for the security of your data. 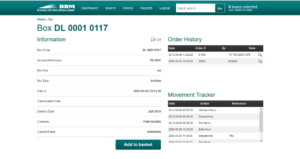 File or box requests can be made directly onto our WMS and the customer can see the status of their requests in real time. Certain records can be updated including destruction dates which reduces the need to email or worst case request the box purely to change the destroy date. The system is designed to be extremely simple to use so the customer can access, make their requests and sit in comfort knowing that the warehouse team will be working on the order as soon as the customer presses the button. A range of reporting is available to help manage your archive and gives you the ability to break down the internal charge of the archive store to your own individual cost centres. As the system is designed in-house we have the ability to adapt and implement additional requirements of the customer.